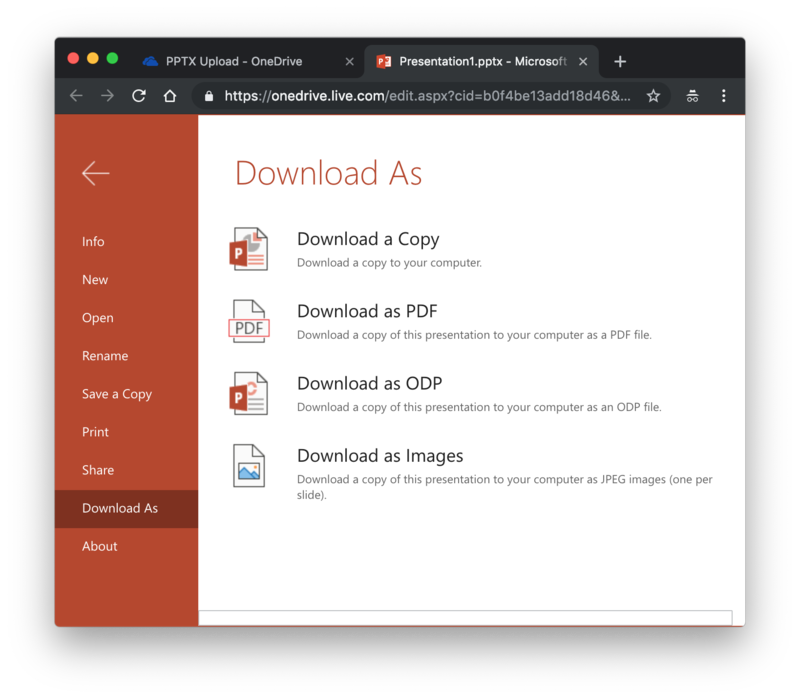 If you need to open a PPTX file on Mac operating system and you don't have an active Microsoft Office subscription the easiest way to do it would be by using Microsoft OneDrive presentation import and editing capabilities. Below we describe how to quickly import PPT or PPTX file into Microsoft OneDrive and view its contents. 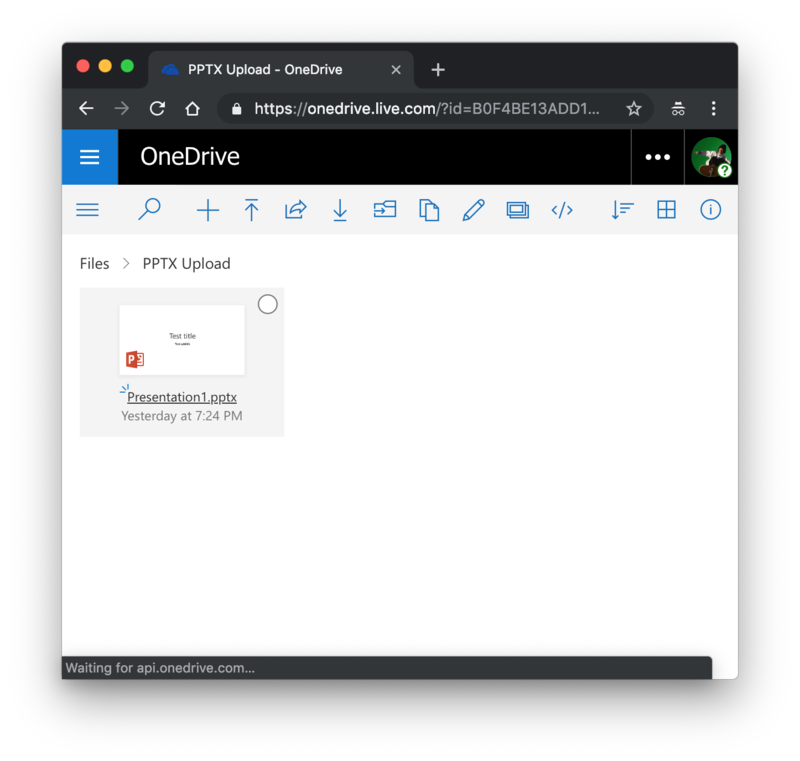 Open your favorite browser and navigate to Microsoft OneDrive by typing https://onedrive.live.com/ into the address bar. If you are not yet logged in with your OneDrive account proceed with login or create an account if you don't have one. OneDrive interface will load. Navigate to a folder where you want to place your PPT or PPTX file. Click on "Upload" button (typically it looks like an arrow pointing up with a dash on top of it). Select a file you want to upload and click "Open". Once file is uploaded you are ready to open it by clicking on it. 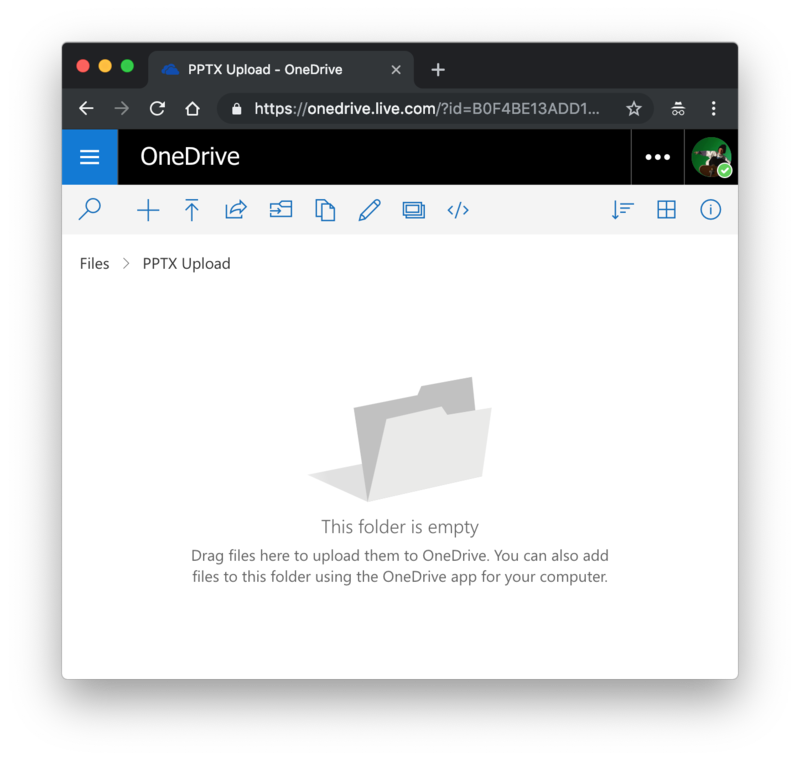 When you click on the file first time OneDrive will automatically convert it to online Microsoft Office document format and open it in online presentation editor. 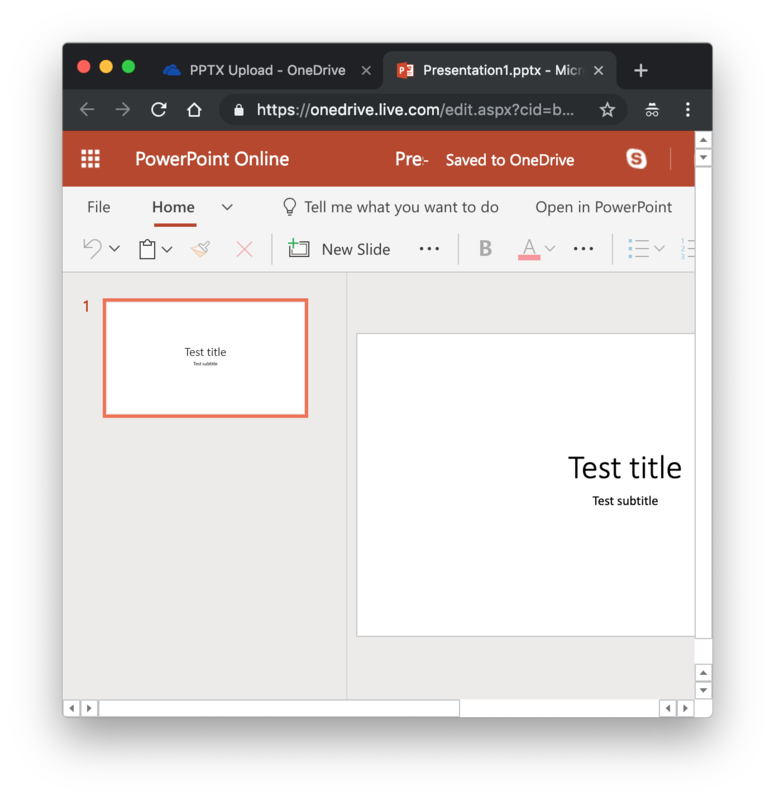 If you wanted to view what is inside the PPT or PPTX file you will be able to do it using Microsoft online presentation editor. If you need to convert this file to a different format you can choose File->Download As... from the online presentation editor menu. This will display the following dialog. From this dialog you can save document in OpenDocument format (Download as ODP), download it as PDF, download it as images or download a copy of document with your changes in PPTX format.